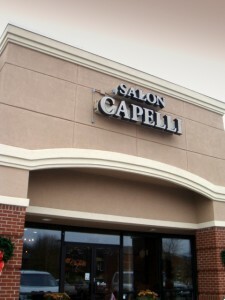 Salon Capelli is a full service salon and boutique, located in Franklin, TN. Are you looking for that perfect hair style? Salon Capelli can help you achieve it. Come experience the talent and education of our in demand stylists. Let us pamper you as we transform your look with personalized attention to your hair care needs! 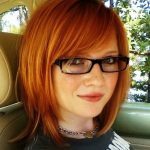 Our services include the latest styles, cutting techniques, color, high-lights, perms, extensions and straightening. And that is only the beginning! We also offer manicures, pedicures, facials, waxing and massage! We offer several massage techniques including deep tissue and Swedish massage as well as hot stone massage! Our estheticians can help you acheive that healthy glow with European style facials and customized resurfacing treatments! Owner, Trish Mason, opened Salon Capelli in 2005 in Franklin TN. Her knowledge and experience, along with the dedication of several of our team, has rewarded us all with an amazing Salon. This triumphant achievement allowed Trish to expand, not once, but twice, creating a true Full Service Salon. It’s been said, “Behind every great accomplishment is a greater leader.” Trish is a fine example of this. Trish’s commitment to excellence and her dedication to clients and knowledge, make her highly sought after in the industry. Trish has styled pageants, fashion shows, professional photoshoots, as well as hosted high profile industry training. Trish’s years of experience combined with regular continuing education gives her the best of both worlds when it comes to what you’re looking for in a hair care professional. Trish’s high standards are also reflected in her team. Make an appointment today and get closer to your best and most rejuvenated self!